Please note that reconnections may take a number of days due to the widespread impact of Storm Ophelia. 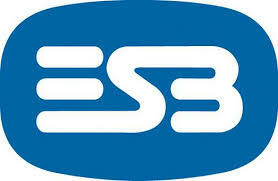 In this context, ESB Networks is mobilising to respond to possible damage expected. An email address Storm17@esb.ie has been set up in addition to these. This is set to give a single point of contact for Major Customers such as other utilities. This will be manned to ensure that queries raised are attended to. This is specifically intended as a means of giving quick access to help address queries raised in the aftermath of this storm event. A live overall update is also available on our powercheck app https://www.esb.ie/esb-networks/powercheck/ . In the interest of Public Safety, anyone involved in clearing timber or other debris should be especially careful to avoid overhead lines and fallen wires. Wires should not be approached or touched in any circumstances as they may be live and can be extremely dangerous. There is a further danger that affected customer using generators could feed out onto damaged networks and inadvertently make fallen wires live.